Dan Glenn was born in 1939 in Shawnee, Oklahoma. He was commissioned an Ensign in the U.S. Navy through the Navy ROTC program at the University of Oklahoma on May 26, 1963, and then completed flight training, earning his designation as a Naval Aviator in September 1964. After completing A-4 Skyhawk Replacement Air Group training with VA-125 at NAS Lemoore, California, he served as an A-4 pilot with VA-144 at NAS Lemoore from April 1965 to December 1966, deploying to Southeast Asia for combat in Vietnam aboard the aircraft carriers USS Ticonderoga (CVA-14) from September 1965 to May 1966 and USS Kitty Hawk (CVA-63) from November 1966 until he was forced to eject over North Vietnam and was taken as a Prisoner of War on December 21, 1966. After spending 2,266 days in captivity, LCDR Glenn was released during Operation Homecoming on March 4, 1973. He was briefly hospitalized to recover from his injuries at the Naval Hospital in Jacksonville, Florida, and then completed A-4 requalification with VA-45 at NAS Jacksonville from September to December 1973. He then received an assignment to complete his Master's degree at the University of Oklahoma from December 1973 to August 1975, followed by service as an A-4 pilot, instructor pilot, and maintenance officer with VA-127 at NAS Lemoore from August 1975 to July 1976. 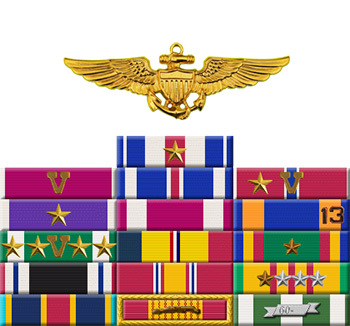 After completing Civil Engineer Corps Officers School, he served as Assistant Planning Officer with the Pacific Division, Naval Facilities Engineering Command from September 1976 to April 1978, and then as a Production Officer with the Navy Public Works Center Pearl Harbor, Hawaii, from April 1978 to July 1980. 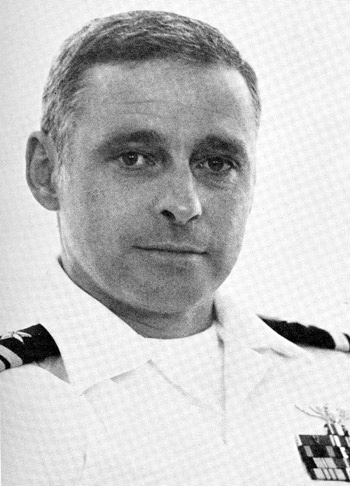 CDR Glenn then served as an Acquisition Officer with the Office in Charge of Construction, TRIDENT, at the Pentagon from July 1980 to June 1982, followed by service as a Facilities Engineering Officer with U.S. Naval Forces Europe in London, England, from June 1982 until his retirement from the Navy on December 1, 1983. For conspicuous gallantry and intrepidity while interned as a Prisoner of War in North Vietnam. During the period 21 August to 23 August 1967, his captors, completely ignoring international agreements, subjected him to extreme mental and physical cruelties in an attempt to obtain military information and false confessions for propaganda purposes. Through his resistance to those brutalities, he contributed significantly toward the eventual abandonment of harsh treatment by the North Vietnamese, which was attracting international attention. By his determination, courage, resourcefulness, and devotion to duty, he reflected great credit upon himself and upheld the highest traditions of the Naval Service and the United States Armed Forces.